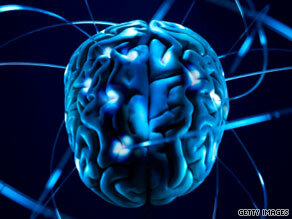 Medicine and Technology: Are ADHD Meds Causing Unexplained Deaths? Are ADHD Meds Causing Unexplained Deaths? If you follow CNN, you may have seen the story titled, "Study links some ADHD meds to rare deaths." That's not the type of headline you can ignore, even if you have ADHD (attention deficit hyperactivity disorder). So what's going on here? Let me remind you that we should never judge an article by its headline. This story is based on a recent publication in the American Journal of Psychiatry. Researchers noted that stimulant medications may pose a risk in children who have no underlying heart problems. A matched case-control design was performed. United States mortality data from 1985–1996 were used to identify 564 cases of sudden death occurring at ages 7 through 19 years. The primary exposure measure was the presence of amphetamine, dextroamphetamine, methamphetamine, or methylphenidate. The authors concluded that, "This case-control study provides support for an association between the use of stimulants and sudden unexplained death among children and adolescents." Here's a brief snippet from CNN from the lead author of the study Madelyn S. Gould, PhD, MPH, a professor of psychiatry and public health at Columbia University, in New York: "There probably does need to be more careful monitoring, but the bottom line is that parents should not take their children off stimulant medication they're currently on and should not be scared to have their child go on a stimulant if that's what they and their doctors decide is the best thing for their child." ADHD is under the same umbrella as autism. I hope my kids can come off the medicine they're on one day.